How Much Time Does A Doctor Visit Really Take? I always think a doctor visit will be a quick, in-and-out trip: “If I make an appointment for 8:00 a.m., I could make it to my 9:00 meeting.” But the alarm goes off, I fly out the door, sign in early, and still––I face a 40-minute wait, paperwork, a few minutes with the doctor, checking out, a visit to the pharmacy, and the drive back to work. It’s never as quick as I anticipate. So that makes me think: How much time does a doctor visit really take? We sometimes have it in our heads that we can be at work and see a physician and pick up the kids on time in the same day. In reality, that almost never shakes out to be true. Even though we work in healthcare and human resources, we sometimes get sick and need to see doctors, too. As an employer, you should want to help prevent these long visits to the doctor’s office. And as an employee, you know first-hand how lengthy these trips can be. Seeking medical care is almost never an easy task. Depending on traffic, you might leave your office at 11:30 for a noon appointment to confirm your suspicion of a sinus infection. You sign in at the front desk, and have 10 minutes of new paperwork to fill out before your name is called. The doctor is running behind helping patients, so you don’t actually get into an exam room until 12:40. A nurse checks your vitals and talks about your current health for 10 minutes. You wait another 5 minutes for the doctor to come in, who then performs an exam and prescribes a medication, taking about 5 minutes. It takes another 15 minutes to check out and get back to your car. It’s now about 1:15pm. But the wait isn’t over there: You drive 10 minutes to the pharmacy, wait 15 minutes for your prescription to be filled, and head back to work. It’s now after 2:00 p.m., and you’ve lost your lunch time and a couple hours of productive time. The end result = 1 antibiotic and more than 2 hours of lost P.T.O. Much like a visit to your primary care physician, a trip to urgent care will take about three hours. But depending on the severity of your illness or injury and the number of patients crammed into the waiting room, you might have an extra hour to waste reading magazines from the ‘90s. A standard urgent care illness, like a urinary tract infection or vomiting, usually requires a little more time with the doctor or nurse. You still get the care you need, but you’ve spent a whole free night at the urgent care and had to pay a heftier co-pay. The end result = 1 antibiotic, 4 hours of lost free or family time. 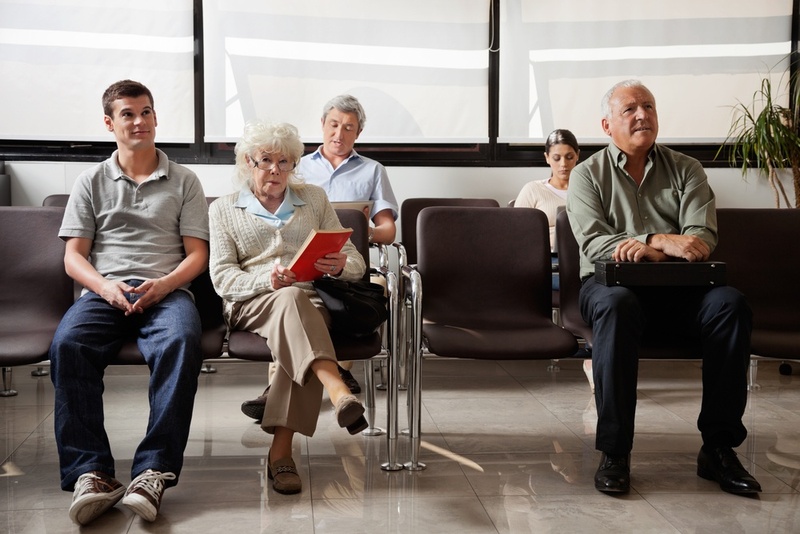 If you’ve ever walked into a crowded E.R., you know the feeling of dread when you realize you have absolutely no control over how long it may take to see a doctor. But if you’re worried enough about an injury or illness, you’re probably willing to endure it to get the medical attention you need. Higher-severity cases might bump your minor injury down the list, and emergencies aren’t scheduled. After you’ve endured the wait time and exam, you’ll need to wait until the next day to see the doctor you’ve been referred to or visit a regular-hours pharmacy. You’ve lost personal time and paid a costly E.R. co-pay of up to $1,000. Whether it’s an emergency situation or a routine trip to your primary care physician for a simple sinus infection, a doctor visit takes much more time than we anticipate. It’s never as quick or affordable as we hope. As an alternative, telemedicine provides fast solutions to a daunting necessity. You can’t just skip unavoidable medical care, but you can skip the driving, wait time, co-pay, and time off work. Telemedicine is the way to seek medical attention without breaking the bank or wasting time.